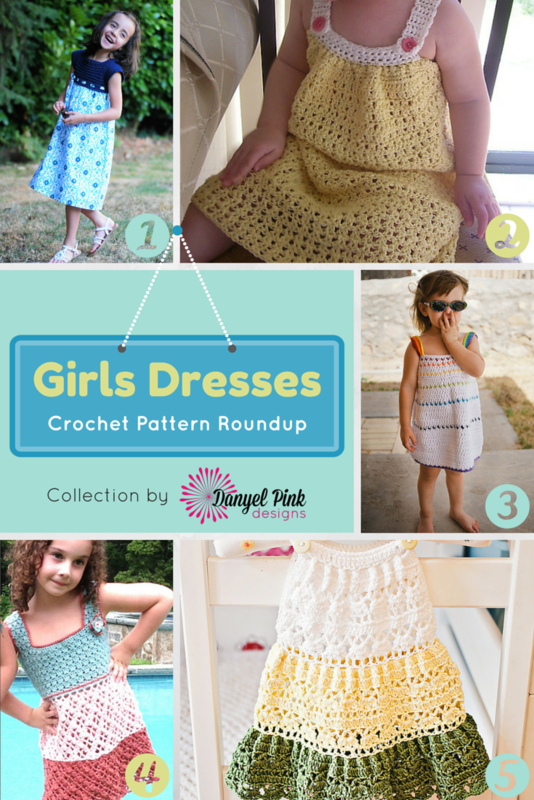 Every little girl needs a fun, crocheted dress! These dresses are beautiful, quick to stitch, and fun to wear! Add a simple yoke to a fun fabric skirt. Easy Peasy! This simple dress has a lovely pleated bodice! Whip up this easy dress in your little one's favorite colors! This dress is for girls' size 7, and includes a full photo tutorial! You can pair this lacy dress with a tee or wear it as a tunic!